Get My 2019 "Facebook Best-Of" Book just $9.90! Regular was $29.90. Get My "Facebook Best-Of" Book for just $19.90. Regular price was $29,90. Plus FREE shipping. Save 50% for a 50 pages glossy softcover book. Now for $19.90. Take 15% off on any order of 3 Books at My Social Book! 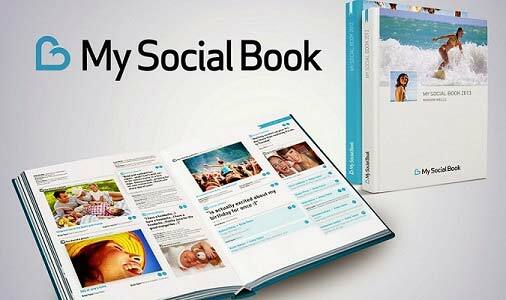 My Social Book coupon: Get 25% off on any order PLUS free shipping! No coupon code required. Get Glossy Softcover Starting from $15.90. Buy now and get 15% OFF + FREE shipping at MySocialBook.com. Buy Glossy Hardcover Starting from $26.90 from MySocialBook.com. Save 60% when you get a 100 page book or more. With so many different social media platforms in the world today, it is hard to keep track of what you post where. There are many different ways to keep track of what pictures and highlights that you post online, but if you want to take your timeline of major life events such as; weddings, birthdays, concerts, etc, then My Social Book could be the answer you have been looking for. This handy website will take your Facebook timeline and turn it into your own personal story. This is great if you want to take a special year of your life, perhaps the year you get married, and document it into a picture book that displays everything that you did that year that lead to your wedding. My Social Book works off of a certain range of dates that you provide. They will produce a hard bound book with a number of pages that range from 25 to 500 depending on how much information you have in that date range. The end result is a beautifully bound book that you can treasure forever. You can customize it with a few different aspects: The date range of wall posts to include; only your posts or posts by other people on your wall, either all, none, or up to 20 comments, a cover profile picture of you, the large cover photo you have, the color of the cover and the inside pages, and you can add a quote on the back of the book. Depending on what date range you give My Social Book to use, and how many posts you have between that timeline, will determine how many pages your book will be. This in turn, will determine the price of your book. Obviously, the larger the book, the more it will cost. It can range between $12 and $137 for the book. There are discounts on the 500 page books, and you can catch these discounts every once and a while. If you do not catch one, you can always look for coupons online. They are out there. If you are looking for a great and unique gift for someone or even if you just want to document your own life, My Social Book is a great way to sum up a year or a number of years in your life. With an organized and beautifully bound book as the end result, you will be happy you checked them out. You will not be disappointed with the end result.